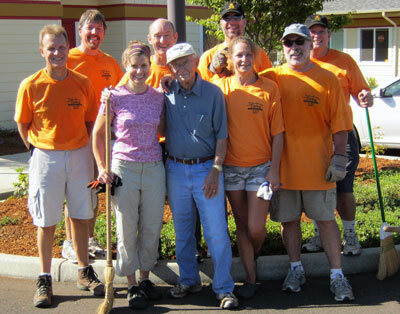 Volunteers make an important contribution that helps us spread our impact even further. We have regular volunteers in our classrooms, managing our library, maintaining the building, organizing our annual auction, and providing child care. Their energy and talent is critical to our continued success. Work with 2–5 year old children in the Relief Nursery and Preschool classrooms. Regular weekly schedule preferred. Provide childcare during various meetings, groups and programs throughout the year. Assist with filing, collating information for upcoming classes and groups, and data entry projects. Restock and organize our family resource closet which includes children’s clothing, food, diapers, wipes and other cleaning and personal hygiene supplies. Minor building and furniture repairs, touch up paint, replace light bulbs, etc. Help with our annual auction and other fundraising events, as well as tabling at community outreach events. Translate our brochures, program materials, parent handbooks and website pages from English to Spanish. Organize photos by program, event, etc. Assist in gathering information, filling out forms, and analyzing statistics, and other parts of the process of getting accredited with these programs. Submit your volunteer application online or call 541-757-8068.